Drupal conversion of Wordpress genealogical site project. 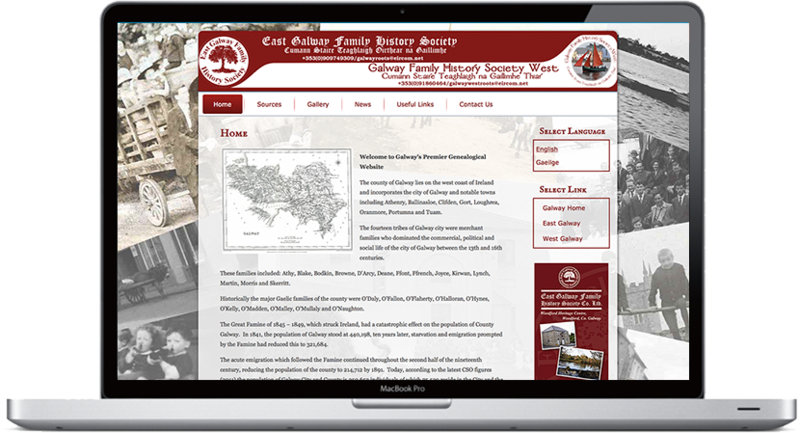 This is a bilingual (Irish and English) site, comprised of three micro-sites: main, east and west. It features a News section, galleries, and region-specific query forms. We engaged Compass Digital to code our redesigned website using Drupal. They were very efficient, professional and delivered the website on time and within budget. Additionally they facilitated amendments and made suggestions on functionality and currently ensure the highest level of security applications is embedded on our site.